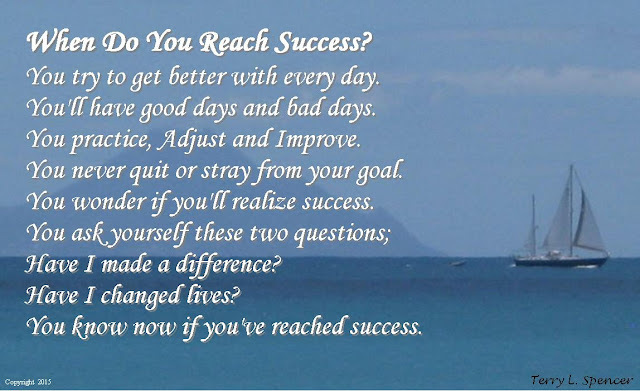 When Do You Reach Success? Air-popped popcorn is a healthful snack. Buttery, salty popcorn is not a healthy snack; it’s loaded with fats, sodium and unnecessary calories. That doesn’t mean all popcorn is bad, though. Without unhealthy additions, popcorn is an ideal snack that has few calories and a lot of fiber. Fiber slows digestion, which prolongs fullness and holds you over until your next meal. Popping - To make popcorn healthful, you need to start with plain popcorn kernels. They’re sold in bulk at most grocery stores. Don’t be intimidated by popping your own kernels -- it’s easy to do. Place them in a brown paper bag, roll the top closed and microwave the popcorn as you would commercial popcorn. Alternatively, you can place the kernels in a microwave-safe bowl and set a microwave-safe plate on top to contain the kernels as they pop. If you plan to make healthful popcorn on a regular basis, though, consider a specialty air popper. While these machines are often loud, they pop the kernels more evenly than a microwave oven does and the popcorn often has a better flavor. Plus, there’s less risk of burning the popcorn in a specialty air popper. To avoid additional calories, don’t use any popping method that requires you to add oil or other fats. Seasoning - While you shouldn’t add salt or fats to your popcorn, you don’t have to eat it plain. You have several options for healthful seasonings. For spicy popcorn, try a blend of crushed red pepper and cayenne. Paprika and chili powder make a less spicy popcorn, lemon pepper makes popcorn zesty and a blend of basil, oregano and parsley will give popcorn an herbal overtone. If you’d rather have sweeter popcorn, try ground cinnamon or grated nutmeg. Powdered ginger, ground black pepper, five-spice powder and allspice are other examples of healthful seasonings. It’s usually best to add the seasonings after popping the popcorn, but if you’re microwaving the kernels, you may add them before you pop. Serving Size and Nutrition - While air-popped popcorn without salt or oil is low in calories and fat, you still need to limit your serving size. A 3-cup serving is reasonable for a snack, but if you’re voracious, a double serving is okay too. You need to use 1 1/2 tablespoons of kernels to make 3 cups of popped popcorn. One 3-cup serving of air-popped popcorn has 93 calories, 1 gram of fat, 3.5 grams of fiber and 2 milligrams of sodium. To compare, 3 cups of commercial microwave popcorn with oil has 192 calories, 14 grams of fat, 2.7 grams of fiber and 348 milligrams of sodium. If you add just 1/4 teaspoon of salt to your air-popped popcorn, its sodium content will skyrocket to 581 milligrams. Storing - Air-popped popcorn may be stored in a sealed container for up to one week without going stale. This is perfect for making a week’s worth of snacks in advance. If you need to store the popcorn for more than a week, you can make a homemade version of commercial popcorn bags. 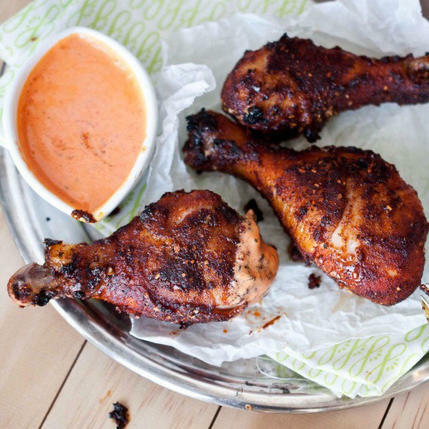 Place the kernels and your chosen seasonings in a brown paper lunch sack and fold it. It will be about the size of commercial microwave popcorn. Tie a string around it to keep air out, or tape it closed, and write the flavor on the popcorn package. 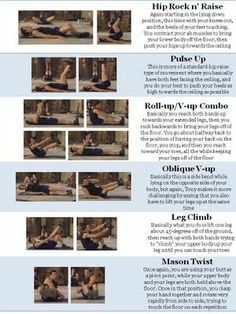 P90X AB Ripper X Moves! I owe a lot of thanks to these moves! It gave me the ABs I thought was gone forever! Thanks P90X!! If you are looking to get P90X on your Iphone, Andriod, or Laptop Cheap, contact me at P90Xcoachterry@gmail.com to find out how! In a plastic bag, or a bowl, combine the first 7 ingredients. Drizzle the chicken with olive oil and rub to coat. Add the chicken to the bag (or bowl) and toss or shake bag until well coated. In a food processor, add the roasted red pepper, goat cheese salt and sour cream, process until well combined. I've always believed that success comes to those who work hard at it. This is true but I've learned thru the many years that it takes more than that. 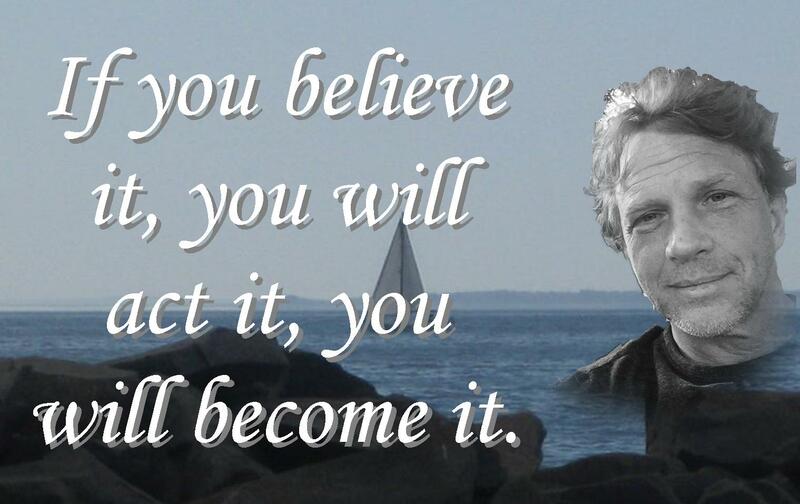 It takes believing in yourself and your ideas. So many people fail before they get started, why you ask? People decide that their ideas can't possibly be the million dollar idea that brings them the monetary and self gratification they always dreamed they could have. Think of it this way, If a baseball player never swings the bat, he will NEVER hit the ball. Makes sense right? I talk to so many people who said that they would have tried this or that if they just would have known how to go about it. Many years ago you might get away with that excuse because of the lack of info at ones finger tips. Today there are no excuses, we have GOOGLE! Folks, Google is a treasure chest of answers waiting for you to open it. At a very young age of 24 I was President of two companies. Because of my inexperience I made many mistakes. The one thing I made sure of was that I logged all those mistakes and evaluated how I could do it better next time. I got better and better at managing and improving my mistakes. Now I'm not saying to go out and make a lot of mistakes to gain all your future wisdom. The realization is that we are not perfect and we will make mistakes, count on it! Instead of giving up, give it a try again with some adjustments. Wondering where I am headed with all of this? I am painting a picture of most of the people in the world. We would rather get mad at ourselves and make excuses for screwing up and go back in our shells forever than to face humility again. Swallow your pride for there will always be another day. 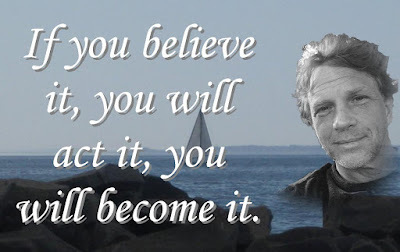 If you have something that you have been wanting to do, a career you want to try, or an idea you believe in, then now is the time to make it happen. Time will go by no matter if you pursue your dreams or procrastinate about them. Here are some things that I hope will help you to go forward in your journey. These are some of the things I've learned from my experiences in life. 1.) Think thru all ideas (ask yourself what is the worst case scenario and how would I handle it). 4.) Take a COOL DOWN period for the tough decisions. 7.) If an idea or a project isn't working, make adjustments instead of giving up on it. 8.) Listen to everyone's advice but only retain the good advice. 9.) You won't fail unless you quit. My P90X Update! Are You Ready? Nobody wants to have arms that jiggle like gelatin, yet not everyone wants to have the buff biceps of a bodybuilder either. It is possible to get rid of flab and have slim, toned arms without bulk. Using lighter weights with more repetitions allows you to tone muscles and burn fat without developing too much muscle mass, according to Wayne State University. The addition of a calorie-reduced diet and aerobic exercise will help you get rid of unwanted arm fat. Cut your calorie intake by 500 per day, advises Mayoclinic.com, to lose 1 pound weekly to help reduce flab on your arms. Pass on high-calorie beverages such as sugary soda and whipped cream-topped sweet coffee beverages, and skip the mayo and full-fat salad dressing to reduce calories. Get the most nutrition for your caloric intake by consuming healthy foods, such as lean protein sources, fiber-rich whole grains, fresh fruits and vegetables and low-fat dairy products. Slow down while you're eating, recommends the Centers for Disease Control and Prevention. Eating more slowly allows you to reach that full feeling and avoid overeating that often accompanies eating too fast. Get involved in physical activity for at least one hour daily, asserts the CDC. 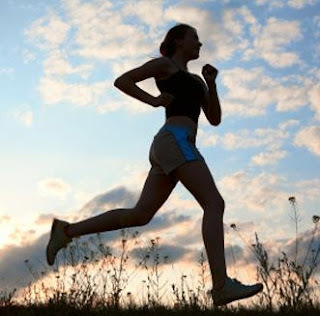 Participate in moderate intensity aerobic activities such as jogging, swimming or walking. Work your arm muscles while you burn calories by playing tennis, basketball or football. Tone your muscles for sleeker-looking arms by doing modified pushups. Get down on all fours, and then walk your hands out until your upper body forms a diagonal when your arms are fully extended. Help support your body weight by keeping your knees and toes planted on the floor. Hold your stomach muscles in and bend your elbows to lower yourself 6 to 12 inches above the floor. Pause for a count of one and then slowly raise to the starting position. Repeat six to 12 times every other day. Slim and tone your shoulder and arm muscles by performing arm circles. Stand with your feet hip width apart. Raise your arms straight out to the sides as if you were an airplane. Flex your hands so your fingers point toward the sky. Do 12 to 24 small circles in a backward direction, and then repeat in a forward direction. Do these three times per week. Perform triceps kickbacks using a resistance band. Stand with your feet together and the center of the resistance band beneath your feet. Hold the ends of the band in each hand. Bend forward from the waist about 45 degrees, and point your bended elbows back while keeping your arms flush by your sides. Extend your lower arms back to do a kickback without locking your elbows. Return to the starting position to complete one repetition. Repeat 25 times three times weekly. “The best time of the day is when you will do it most consistently, because the benefits of physical activity are tightly linked to the amount you do on a consistent basis,” said Russell Pate, M.D., professor of exercise science in the Arnold School of Public Health at the University of South Carolina in Columbia. “Different people will have different preferences and predispositions with regard to how they respond to exercise at different times of the day,” Pate said. You might have heard that the best time to work out is early in the morning — to get your metabolism revving or to avoid unexpected distractions during the day that could derail your regimen. “Are there differences in working out at different times of the day? Maybe. But those differences would be minor compared to the overall effect of doing it consistently,” Pate said. And there you have a 30-minute workout! “Accumulation across the day doesn’t have to be performed in one bout, but can be across the day,” Pate said. “More is better, but we’re absolutely certain even modest amounts are much better than being sedentary.” And remember, “exercise” is any kind of physical activity that gets your heart rate up for at least 10 minutes at a time. As the days start to get shorter and the temperatures drop, you may be tempted to slack off on your workout routine. After all, it’s also no longer swimsuit season and we can hide under cozy layers! But it’s so important to keep moving and find something you not only love to do but also can do all year round. Here are some motivational tricks to help you break a sweat because you’ll definitely feel better after working out—and have the body to show for it winter, spring, summer, and fall. Coffee is an ergogenic aid and can stimulate you to work out and help you last longer during your workout. Also, if you tell yourself, ‘I’m going to have a cup of coffee then lift weights’ you’ll have something set in your head. 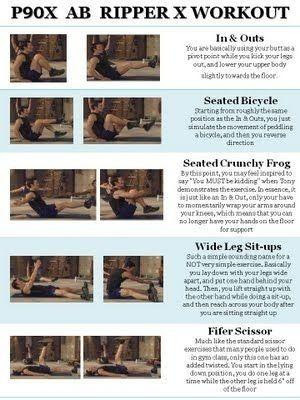 Try to keep this trick for you AM or midday workouts not later in the evening, though. Promise yourself you can only view the latest episode of “Scandal” or “New Girl” after you log a workout. Or if you’re not a TV watcher, give yourself some sort of reward for working out. I tell myself once I do my yoga practice, then I can surf the web for cute clothes for my baby boy. Schedule a weekly class, run, walk, hike, or tennis match with your friend, partner, or family member. I’m part of an Upper West Side Moms stroller walk and talk meet-up group in New York City. I get so much out of meeting other moms and spending an hour working out with them while still being with my son. Find something you can do—even if it’s joining a bowling league—that meets weekly and gets you excited to move. It’s like Pavlov’s dog: if you have a great playlist to work out to, once you play it, chances are you’ll get in the mood to break a sweat. Any upbeat music can get you in the mood to move your body. Just turn on Pandora or your favorite artist and dance around your living room or put on your headphones and go outside or to the gym to run. When I get a new yoga tank or an awesome pair of workout pants, I want to use them! I update my wardrobe each season with clothes that work for the whether. Invest in some fun long sleeve workout tops, get a long pair of running pants that will block the wind, find layers you love, and dress for success. I loved back-to-school shopping as s little girl and couldn’t wait to wear each outfit every day. I channel that same enthusiasm and excitement in to my workout wardrobe and plan some fun, new workout classes to take. We know we shouldn't. We hate ourselves when we do. And yet, with all the information available about proper nutrition and the dangers of obesity, we still eat things like Red Robin's "A.1. Peppercorn burger with bacon,Bottomless Steak Fries and a Monster Salted Caramel Milkshake." That combo captured one of nine "Xtreme Eating" awards from the Center for Science in the Public Interest last week, clocking in with 3,540 calories (nearly two days' worth for an average person ), 69 grams of saturated fat (3.5 days' worth ), and 6,280 milligrams of sodium (about four days' worth). And it contains 38 teaspoons of sugar. I read the center's report, and Justin Moyer's eye-0pening post on it, a day after returning home from two weeks in Japan, where, you're probably aware,life expectancy is greater than in every nation except tiny Monaco and the Chinese territory of Macau, according to the CIA's World Factbook, which lists the United States 42nd. And where the obesity rate runs at a little over 3 percent, compared with about 35 percent in the United States. I understand that life expectancy is a complex mix of genetics, lifestyle and other factors, but the contrast in eating habits in the two nations is jolting (as is the knowledge that today's U.S. children may be the first generation in 200 years to live shorter life spans than their parents). I traveled most of Japan without seeing anything remotely like the Red Robin burger or the Cheesecake Factory's slab of "Peanut Butter Chocolate Cake Cheesecake” (1,500 calories, 43 grams of saturated fat, 21 teaspoons of sugar), another Xtreme Eating award winner. The Japanese diet, as many know, is based heavily on rice and noodles, with plenty of vegetables and small bits of fish, chicken, pork or beef. Desserts are small by our standards and often consist of fruit. All of it is served in what Americans would consider tiny portions, on small plates or in small bowls, instead of heaped on one large plate. On the Japanese island of Okinawa, home to a greater proportion of centenarians than anywhere in the world, many follow the practice of pushing away from a meal when they are 80 percent full. According to this 2006 study from the University of Minnesota, Americans consume an average of 230 more calories each day than the Japanese (2,168 vs. 1,930), and exercise much less -- mainly because Japanese adults walk so much more as part of everyday life. All of which raises the question: Why do so many of us still eat so poorly? 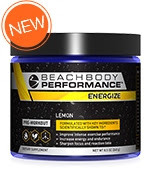 The goal of this lemon-flavored pre-workout mix is to improve performance, increase focus, and delay muscle fatigue. It does this with three key ingredients. Low dose caffeine from green tea. Research indicates caffeine works via the central nervous system, delivering signals to your brain that energize you both mentally and physically. The current thinking is that low dose caffeine is every bit as effective as high dose—without the jitters. Beta-alanine. This amino acid is a precursor to carnosine, a substance in your muscles that reduces fatigue by shielding against acid build up. One side effect of beta-alanine can be a slight tingling in the face or extremities—a feeling I’ve come to love because it tells me the stuff is working. Scientists have discovered the fountain of youth—it's running. Studies continue to find that hitting the roads improves health and well-being. "The biggest benefits come from vigorous exercise like running," says JoAnn Manson, M.D., chief of preventive medicine at Brigham and Women's Hospital. Here are the latest reasons to lace up. People who run more than 35 miles a week are 54 percent less likely to suffer age-related vision loss than those who cover 10 miles a week. Runners who log a weekly run of 10 miles (or more) are 39 percent less likely to use high blood pressure meds and 34 percent less likely to need cholesterol meds compared with those who don't go farther than 3 miles. Men who burn at least 3,000 calories per week (equal to about five hours of running) are 83 percent less likely to have severe erectile dysfunction. Running strengthens bones better than other aerobic activities, say University of Missouri researchers who compared the bone density of runners and cyclists. Sixty-three percent of the cyclists had low density in their spine or hips; only 19 percent of runners did. British workers were surveyed on a day they worked out and a day they didn't. People said they made fewer mistakes, concentrated better, and were more productive on the day they were active. A study in the Journal of the American Geriatrics Society reported that women who were active as teenagers were less likely to develop dementia later in life. Insomniacs fell asleep in 17 minutes on days they ran, compared to 38 minutes on days they didn't. They also slept for an extra hour on days they exercised. People who exercise for an hour a day are 18 percent less likely to suffer upper-respiratory-tract infections than those who are inactive, according to a study from Sweden. Moderate activity boosts immunity. Researchers had asthmatics do two cardio workouts and one strength session a week. After three months, they reported less wheezing and shortness of breath. A review of 22 studies found that people who work out 2.5 hours a week are 19 percent less likely to die prematurely than those who don't exercise. A separate study found that active people have a 50 percent lower risk of premature death. Fans of periodic fasting say the practice can help with everything from allergies to weight loss. Are they right? Here, the good, the bad, and the hungry on fasting to feel better. Ritual fasting has been part of religious traditions for thousands of years, from Muslims who fast during daylight hours in the month of Ramadan to Mormons who take a regular break from food the first Sunday of each month. But a recent growing body of research shows that abstaining from food intermittently may have physical as well as spiritual benefits — the latest, a study from Utah researchers that found that occasional fasts (defined as extended periods of time in which people generally abstain from all food and drink except for water) may reduce the risk of heart disease and diabetes. Google “fasting for health” and you’ll get more than 7 million hits, ranging from doctors who recommend it in their practices to treat a range of diseases, spas that promise detoxifying food-free vacations, and message board postings from devotees who say that fasting makes them feel clearer mentally and more fit. “I fast whenever my body feels like it needs a reboot,” says Yoli Ouiya, 31, a New York City blogger who writes about eco-friendly living. She fasts once every few months. Thanks to our history as hunter-gatherers, human bodies are equipped to handle periods of not eating, says Benjamin D. Horne, PhD, MD, author of the Utah study and director of cardiovascular and genetic epidemiology at Intermountain Medical Center in Salt Lake City. And since the ancestors who made it through those lean times are the ones who survived, Horne suggests that our DNA may actually be coded to receive a benefit from fasting. When you eat, your digestive system breaks down carbohydrates into the sugar glucose, the body’s major source of energy. Glucose is absorbed from the digestive tract into the blood, which then travels to your body’s cells to provide them with fuel. If you haven’t eaten recently, the supply of glucose in your blood drops and your body turns to stored glucose, called glycogen, for energy. After a few days without eating (which experts don’t recommend) your body kicks into ketosis mode, meaning you burn fat as the primary source of fuel, in order to spare muscle. You will lose weight in the form of body fat. However, ketosis also makes your blood will also become more acidic, and can cause bad breath, fatigue, and other unpleasant symptoms; long-term, it can lead to kidney and liver damage. Fasting may help your heart. Fasting for a day once a month may prevent heart disease and insulin resistance, the precursor to diabetes, according to two studies from Utah’s Intermountain Medical Center presented recently at the American College of Cardiology’s scientific sessions. When researchers looked at the habits of 200 men and women, they found that those who fasted once a month were 58 percent less likely to have heart disease than those who didn’t (after they controlled for factors such as age, smoking status, and high blood pressure). They then set out to understand why. In a smaller study, the scientists measured various blood levels in 30 healthy adults after one day when they fasted and one day when they ate normally. After they fasted, participants had huge increases in human growth hormone (HGH) — 13-fold in women and 20-fold in men, among other changes. HGH protects lean muscle mass and encourages the body to burn fat stores instead. “During fasting, your fat cells are being metabolized and used as fuel,” says Horne. “If fat is being used for fuel, in the long run you have fewer fat cells in your body.” This may mean less insulin resistance and a lower risk of heart disease later in life. There’s a chance fasting can cut cancer risk. The jury's still out on fasting for other ailments. While there isn't much research on many of the diseases proponents claim fasting helps treat - multiple sclerosis, rheumatoid arthritis, and allergies among them — doctors say that if you’re medically able to fast safely (which rules out those with more serious health issues), there's no research against doing it either. In fact, one small Iranian study of 40 adults with multiple sclerosis found that there were no negative effects from fasting during the month of Ramadan compared with a group who didn’t fast. "If you’re not on prescription medicine, generally in good health, and want to fast periodically because you feel you get a health benefit from it, we don't have evidence that this would be harmful," says Katz. Fasting won’t help you lose — and keep off — weight. “Fasting for weight loss is just another form of yo-yo dieting,” says Joel Fuhrman, MD, board certified family physician specializing in nutritional lifestyle medicine and author of Fasting and Eating for Health. While you may see a small drop in the scale, don’t expect the weight loss to last. “The pounds that come off on a short-term fast are mainly water and stored carbohydrates, which will come back as soon as you start eating again,” says Cynthia Sass, MPH, RD, author of the bestselling book Cinch! Conquer Cravings, Drop Pounds, and Lose Inches. And if you’re tempted to fast one day as a green light to eat whatever you want the next, think again. “Weight loss is about energy balance — if you have consume fewer calories than you burn, you will lose weight,” Katz. “On the days you fast you have a calorie deficit. But what really comes into play is what you do on the other days.” In other words, you can negate the potential health effects of a fast by binging afterward. Bottom line: True weight-loss success involves healthy eating (along with exercise habits) that you are committed to and can maintain over time. Fasting can’t take the place of a healthy diet. While there may be health perks to intermittent fasting, the research is still preliminary. Horne’s lab is currently working on studies that will evaluate how often and for how long people need to fast to see health benefits. One thing we know for sure about health: Eating well every day plays a major role in preventing heart disease, diabetes, and certain types of cancer. “Focusing on consistently eating enough nutrient-rich whole foods like fruits, vegetables, and whole grains snowballs into proven powerful benefits over time,” says Sass. While fasting may have the potential to play a role in wellness, it’s definitely not for everyone. Specifically, if you have a history of eating disorders, diabetes, low blood pressure, anemia, are pregnant or nursing, or are on prescription medication, as well as other conditions/circumstances, fasting is not safe for you. “If someone wants to use fasting as part of a medical intervention, they should discuss it with their doctor first,” says Horne. While there’s no evidence that fasting one to two nonconsecutive days per week is harmful for a healthy person, it could be dangerous for others, says Katz. See your doctor for recommendations that suit your needs. When you talk to your doctor, make sure he’s aware of every drug you take, including over-the-counter meds and dietary supplements. A seemingly benign medication like acetaminophen can be harmful on an empty stomach. Even if your doctor gives the go-ahead, don’t jump head first into fasting — it’s crucial that you understand how to do so safely, and in the context of a healthy lifestyle. For instance, treat a fast day as a time of physical and emotional rest, not simply a day of not eating, says Fuhrman. You may feel fatigued and grumpy and face a higher risk of fainting, making fasting ideal for weekends and holidays as opposed to hectic workdays. Talking to your doctor and educating yourself on fasting before you attempt it can mean the difference between a potentially health-boosting habit and a trip to the emergency room.